﻿ Adenoids in Children: How to Avoid Surgery? Adenoids in Children: How to Avoid Surgery? What are adenoids and what are they often confused with? How to recognize that your child has adenoids in time? What are the enlarging adenoids dangerous for? Medication for adenoids – what are the outlooks? Removal of adenoids. What shall we expect after surgery? Why do adenoids appear again? How to stop enlargement of adenoids and save your child from surgery? It is really not an easy task for a young mother to promptly find the answers to all these questions and make the right choice. The choice on which her child’s health will depend for the rest of his/her life. When your child catches a cold, has a sore throat and rhinitis frequently, it can be easily explained by the virus, caught from his/her playmates in a kindergarten. Due to latent or smooth onset of symptoms of the disease results in free development of adenoids over several years, until they are accidentally revealed by the pediatrician during examination. Since then, a mother and her child start the endless quest of attending one doctor after another. How to cure adenoids? Is it possible to avoid surgery? It comes to the situation when the pediatrician and ETN specialist direct opposite opinion on that point. At this point, searching for information in the Internet, medical articles, forums or comments seems as the only way, but all the above said makes everything completely confused and gives no answer. The answer which is so important. What are adenoids? What are they often confused with? Adenoids (that is, adenoid enlargement) mean the over enlarged rhinopharyngeal tonsil which is deep inside the skull, at the joint of pharynx and posterior wall of the nasal cavity. 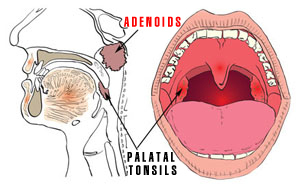 Contrary to a plural form of the word "adenoids", there is only one tonsil. Normally, every person has it and it performs a very important function of protecting respiratory tract from bacteria coming in with air. The rhinopharyngeal tonsil catches and incapacitates the aspiratory air, thus preventing from infection all the organs located lower than tonsil, from palatine tonsils to lungs. Parents can often confuse palatine tonsils (glands), easily notable on each side when a child’s mouth is widely open, for the enlarged adenoids. It should be realized that it is impossible to see adenoids with the naked eye, either through the mouth or through the nose. They are examined in special examination rooms using special devices. It is hard to breathe through the nose even when there is no rhinitis. A child does not sleep well and wakes up at night. The child’s mouth is often open. The child’s speech is nasal and unintelligible. Loss of hearing. The child often asks to repeat what has been said. The child quickly gets tired, feels drowsy and studies badly. Occurrence of such alarming symptoms is the reason for considering adenoid enlargement. A special medical examination confirmed with X-Ray pictures and CT-scans can help to identify whether adenoids are enlarged or not. What are the enlarging adenoids dangerous for? Why shouldn’t they be disregarded? The pharyngeal tonsil (adenoids) is closely related to the middle ear and upper respiratory tract. Should adenoid enlargement be neglected and disregarded, the tonsil reaches its critical size, becoming the chronic inflammation nidus of infection in child’s body. What does it lead to? Loss of hearing, up to irreversible deafness. Adenoids, enlarging without any control, block communication between the nasal cavity and middle ear, leading to the considerable loss of hearing. In the course of time, if adenoids are not treated, the tympanic membrane will irreversibly lose its mobility and a person will have the hearing defect for the rest of his/her life. Inflammatory diseases of the middle ear (recurrent otitis) mean lack of natural ventilation of the middle ear cavity that leads to development of chronic bacterial infection, which becomes acute on each sudden change in immunity. Deformity of facial skeleton (adenoid facies), chest deformation and dental malocclusion are the consequences of the prolonged breathing through the mouth while it is impossible to breathe through the nose. Inflammation diseases of the respiratory tract – laryngitis, tracheitis, bronchitis, are the consequences of the disease spreading from the chronically inflamed nidus. Lack of appropriate oxygen supply to the brain. Breathing through the mouth cannot provide the child’s body with adequate amount of oxygen. As a result, a child has poor progress in studies, feels drowsy and apathic. Development of bedwetting (enuresis). Occurrence of such conditions on a regular basis can make a child disabled. It should be realized that neither medication nor surgery removes the cause for adenoid enlargement. They only temporarily relieve the symptoms of the disease which is still developing. The doctor’s recommendation will depend on how large adenoids are and how strong their effect on the child’s condition is. In case of Grade I-II adenoids, the child can breathe through his/her nose but more often breathes through his/her mouth, and there are no complaints of hearing loss. So, the doctor will say that, as a matter of principle, surgery is required, but, to begin with, the ‘conservative’ treatment will be suggested, with some agents for nasal irrigation and nasal drops prescribed. What should the child’s mother know about it? Saline solutions – for nasal cavity irrigation. Topical vasoconstrictor sprays for removing nasal obstruction and relieving nasal breathing. The most common parents’ mistake is the prolonged use of these agents on a regular basis – just "for the little nose to start breathing". Topical vasoconstrictor sprays can be used for maximum 5—7 days. In case of constant use, these medicines become highly addictive, moreover, the nasal mucosa atrophy develops – this is the right way to the surgical table. Antiseptic solutions can often contain ions of silver. The silver-based solutions are highly allergenic. If a child is susceptible to any kind of allergy, using agents of this kind can worsen the condition. Antibiotics are highly toxic for a human body. They impose a high load on the liver and can aggravate any allergy. These are contraindicated in pregnancy and breast-feeding. 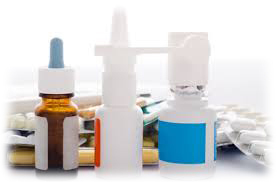 Glucocorticoid sprays are usually used in combination with topical vasoconstrictor sprays to enhance the effect of releasing nasal obstruction. Medicines of this group become addictive and cause the withdrawal syndrome. Glucocorticoids suppress local immunity, thus increasing risk of developing upper respiratory tract infection. The medicines are hepatotoxic. They are contraindicated in pregnancy and breast-feeding as well as for children below five years old. They can penetrate into the breast milk. Uncontrolled drug abuse can lead to the development of the systemic adverse action – adrenocortical insufficiency. Against all expectations, the effect of the ‘conservative’ therapy ends once the therapy itself is discontinued. 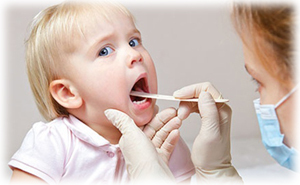 The child still gets ill, his/her nose is stuffy again, his tonsils frequently become inflamed, and coughing occurs. During the next visit to the doctor the mother is faced with the necessity of urgent surgical removal of adenoids. How to act in this situation and what will be after the surgery? "My daughter is 6.8 years old now. Last July she underwent adenoidectomy. These were Grade III adenoids. We had problems with hearing. She always asked to repeat what had been said. After the surgery it was over. Our joy was as great as the sea. Two weeks ago she had the sniffles. And now the child does not hear again. I don’t know what to do. Anna R."
After the surgical removal of adenoids, the mother is full of joy as for the first time her child has begun to breathe through the nose. For the first time he/she has fallen into a deep sleep. But what is happening then? After a few months one cannot but notice that the child catches a cold and falls ill as often as it was before. Chronic nasopharyngeal inflammations have gone nowhere. Now the colds from upper airways go down freely to bronchi – nothing hinders the infection. And then, gradually, the old signs of growing adenoids appear – the nose does not breathe again, the mouth is open again, the child cannot sleep well again. 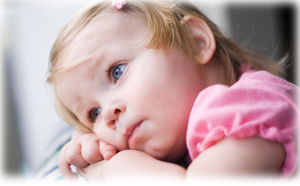 His/her mother brings him/her to the doctor and learns that adenoids have recurred and begun growing. Do you need the surgery then? Why does this happen? Why do adenoids grow after the surgery again and again? It is because neither sprays nor surgery remove the cause of growing pharyngeal tonsil. The cause of enlarged adenoids remains unaffected, while the disease appears constenly leaving a child little chance of healthy life. 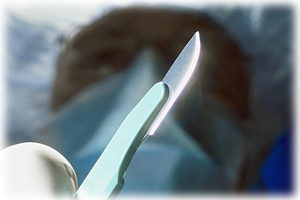 In order to stop steady enlargement of adenoids, it is necessary to remove the cause. But what is that cause that remains unaffected even after a dozen of surgeries undergone by a child? Deeply disturbed metabolism is the main cause for constant enlargement of adenoids. And to remove this cause with surgery is impossible in principle. As long as metabolism is imbalanced, adenoids will grow. But what is able to disturb the child’s metabolism so greatly? The child’s breathing! Breathing is one of the bases of the child’s metabolism. Have the parents ever thought that child’s breathing, like blood pressure, has well-defined parameters of normal healthy physiology? Deep breathing exceeding the normal healthy one makes a catastrophe inside the child’s body. At the same time, thousands of metabolic processes are imbalanced: immunity is ruined, response to the incoming infection is disturbed, evident allergization and sensitization occur. Against the background of breathing, which is far apart from normal healthy breathing, enlargement of the adenoid tissue is a specific defense reaction of the child’s body. For this very reason, it is impossible to stop enlargement of adenoids without child’s breathing normalization that is bringing it back to normal healthy physiology. For that very reason, either surgeries or sprays won’t, and cannot, give the durable effect – excessively deep breathing will remain unaffected and persist in destroying metabolism. How can breathing be normalized? In 1952, a Soviet scientist, academic physiologist Dr. Konstantin P. Buteyko made a breakthrough in medicine – he discovered the Deep Breathing Related Diseases. Based on this discovery he worked out a complex of special breathing exercises enabling breathing normalization, i.e., the Buteyko Breathing Method. Clinical experience in training of thousands of patients at the Buteyko Effective Training Centre, proved that breathing normalization itself disposes patients at the early stages of taking medicines for ever. In severe, advanced cases, normal breathing, combined with medication, becomes a great help in protecting the body against ever-progressing disease. In order to master Dr. Buteyko’s Breathing Method and succeed in the treatment, there should be an experienced practitioner to guide you. Any attempts to normalize breathing on one’s own, with using materials from questionable sources will yield at best no result. It should be realised that breathing is an essential body’s function. Healthy physiological breathing is of great benefit, while incorrect breathing is harmful to your health. If you wish to normalize your breathing, file application for Distance Training Course in the Buteyko Breathing Technique via the Internet. The training is conducted under regular supervision by the experienced practitioner that contributes to achievement of the required outcome in the treatment of the disease. Head physician of "The Buteyko Effective Training Centre"
How can one get trained in the Buteyko Breathing? 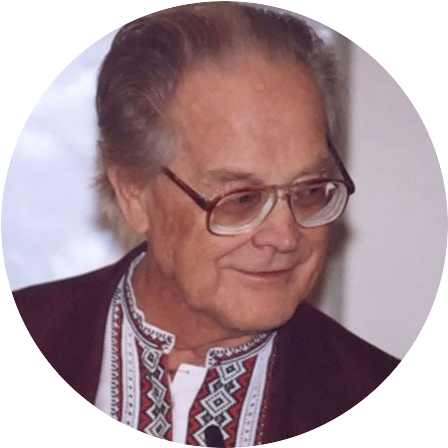 Signing up for training in Buteyko Breathing Method with receiving the "Practical Video Course in the Buteyko Breathing Method" is open. Video: "Buteyko Breathing Method - HOW TO LEARN IT?" What diseases are cured with Buteyko Breathing Method? What People Say About The Buteyko Course? © The Buteyko Effective Training Centre, 2005-2018. Attention: All the materials / articles / video are the objects of copyright protection (including design). No part of this information and objects may be reproduced or transmitted in any form including copying to other websites and Internet resources or otherwise, without the prior written consent of the right holder. The copyright infringement is regulated and prosecutable.